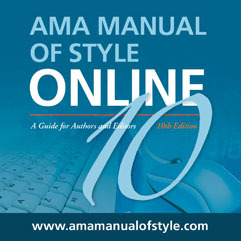 Basic list of AMA style formats. Produced by University of Washington. Created by Texas A&M University Libraries, good brief descriptions of AMA citation formats for books, journals and web sites.